Take the Day Off Turns Two! This past year has been a big one! Last year at this time, My Man and I were thinking, wishing, hoping and praying for some pretty big things. We were both a little restless in our current jobs and starting to think about what else might be out there. We were a lot restless in our old rental house. Between sharing an tiny closet with My Oneandonly, a basement with love-struck-Chuck, and being under the thumb of a crazed landlord—I had just about enough. We were ready for a move! We were also hoping to add a little-bitty member to our family and praying that would happen in the not-too-distant future. Well, it’s one year later and a heck of a lot has changed. After hunting and hunting, we found a house we love, bought it and moved in this summer. In September we found out that we were having a baby and in December we found out that baby is a girl. Now we are anticipating her arrival in three short months. And new jobs were had by all! My Man has blissfully transitioned to a new firm and I am employed by a new company that I couldn’t be more excited about. Change is good. Life is good. But enough about me, let’s talk about you. Everyone agrees that there is something special about you—something different. You have this instant likability and the sort of charisma that just draws people in. And you look good in whatever you’re wearing. You can talk about anything from The Bachelor to Middle Eastern politics with the greatest of ease and insight. It makes me want to sit at your feet and take notes. Have you thought about podcasting your inner monologue? And perhaps most importantly, you have great taste in blogs. Like the best taste. Thanks for sticking with me for another year! The best is yet to come. just came over from snackface. love your blogname! 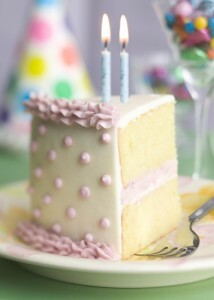 and happy blog-birthday! I’m subscribing to your feed so I stop missing posts. Congrats on your two year blogoversary. You’ve had an amazing year. I hope this year is equally blessed!! So much change is just one year! Congratulations! Your life is about to get so exciting!